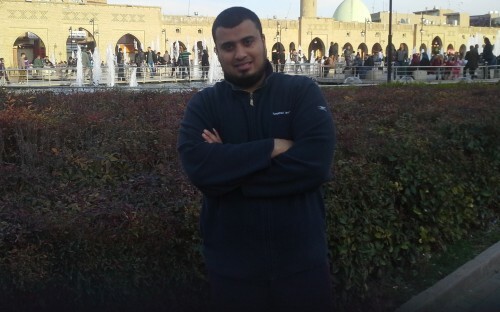 Mohamed Ibrahim El Masry is a telecoms engineer with ten years’ experience at Alcatel Lucent, a French-listed global telecommunications company. He is one of an increasing number of engineers interested in attending business school. But unlike most of his peers, Mohamed is looking to build an academic career, and an online MBA degree is a stepping stone towards his goal of becoming a university professor. In this interview he explains why after a decade in the workforce he is keen to study at business school. Why do you want to begin an MBA now, and what will you gain from it? It is in my plan and this is the [right] time. My plan is to begin an MBA just after finishing the PMP [Project Management Professional Certification]. How do you think obtaining an MBA would impact your career? Although I work in a multinational company as a senior project manager, my vision is to do an MBA [and] then [a] DBA [Doctor of Business Administration] and become a professor in a university, and [also pursue] some business plans. Which business schools are you planning to apply to? What are the most important factors to you when choosing a business school? I need to apply to an accredited university – recognized worldwide – and the main factors I consider when choosing a business school are as follows: [Whether it is an] online program – I travel a lot due to my current designation; affordable fees, as I will be self-funded; and [it must be an] accredited business school, from AACSB, EQUIS or AMBA. So far, what has been the biggest challenge in the application process? How did you prepare (or will start preparing) for the GMAT and GRE, if you have taken it? I am yet to take either, but they are in my plans. I have downloaded the material. However the GMAT is not required by all universities. But if it is a pre-requisite, It won’t be a problem for me; I already took [the] PMP which is far more difficult. [To obtain an] MBA [and] then [a] DBA, then [become] a professor along with [pursuing] business plans, which could also lead to a better position in my current company.